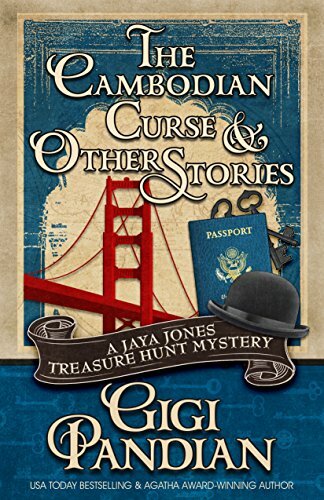 I’m a fan of the Jaya Jones mystery series. 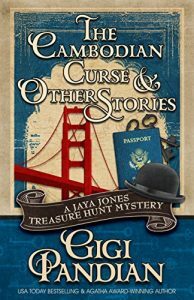 It is like Indian Jones and Amelia Peabody rolled into one and set in a current day setting with a feisty sleuth. In this book, we are given nine short stories which feature Ms. Jones. She is given a series of “unsolvable” mysteries and guess what? Does she solve them? Well, you’ll have to read the book for yourself. While I love to get lost in one of the full novels by Gigi Pandian, it is fun to have this series of stories to read when I have only a little time. It is the same group of characters and the stories and fun. You don’t have to read the series to enjoy the stories but having the background makes them that much more fun. I’m looking forward to reading another full novel in the Jaya Jones series – hopefully this coming year!